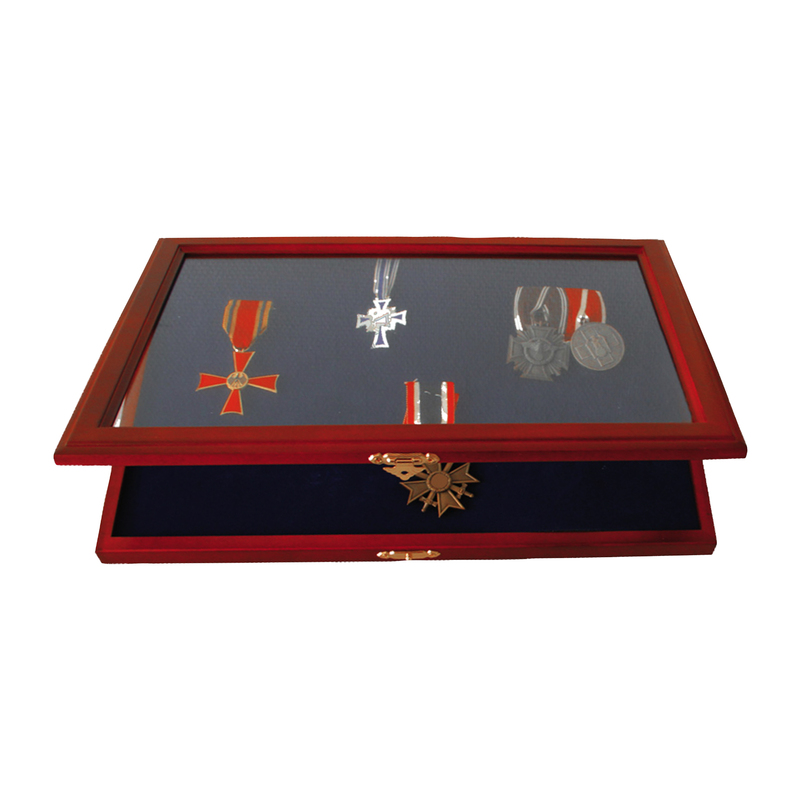 Wooden Showcase for Medals/Decorations in Reddish Brown Wood Stain, with Magnetic catch. With 4mm Royal Blue Velvet removable tray for up to 80 medals, decorations, pins, lapel badges etc. Real wood construction, glass lid, hinged, suitable for wall mounting. Dimensions 375 x 260 x 33 mm.